Finland holiday cottage. Alppimaja is set in Lapua. Guests staying at this holiday home have access to a terrace. This holiday home is equipped with a living room and a fully equipped kitchen with an oven and a microwave. A flat-screen TV is offered. Guests can make use of the sauna. If you would like to discover the area, skiing is possible in the surroundings. Seinäjoki is 19 km from the holiday home. 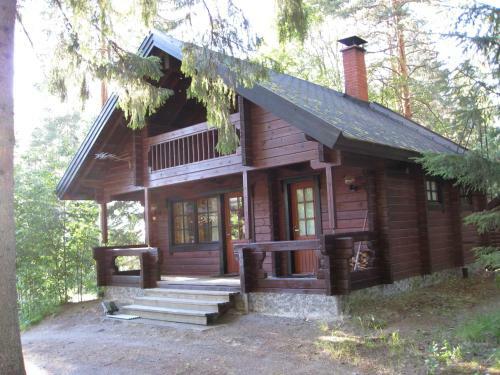 The nearest airport is Vaasa Airport, 61 km from the property.